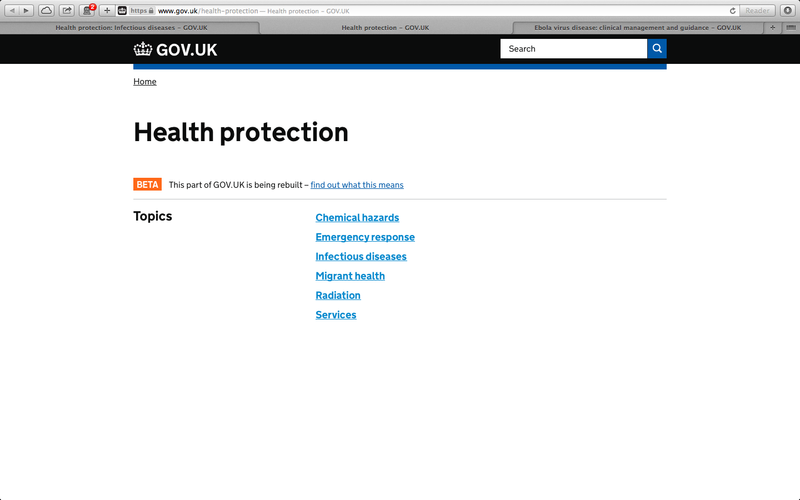 July was all about the work of the Public Health England content team, who have been working their socks off to get our priority health protection content from the Health Protection Agency website to GOV.UK. I’ve been doing my usual stuff, which you can extrapolate from my previous monthnotes, but for this month let’s focus on the content. There’s one place for all health protection content. Much of the content is there already and we will be adding the less-used, tail content over the next few months. 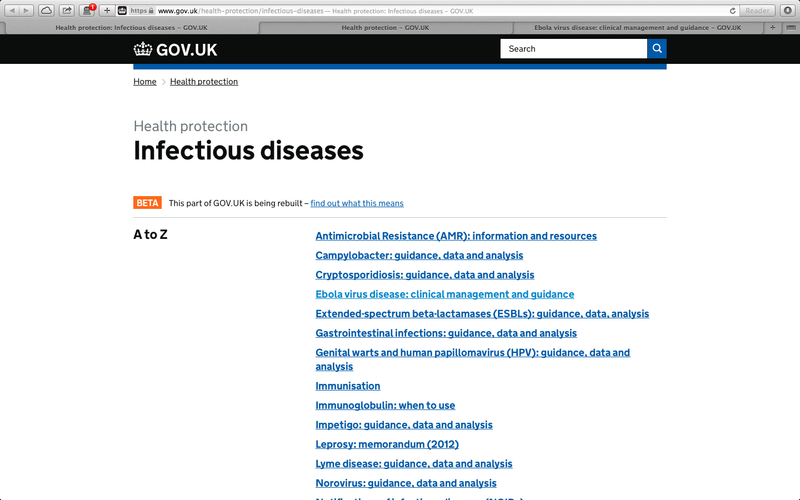 You can browse infectious disease information. 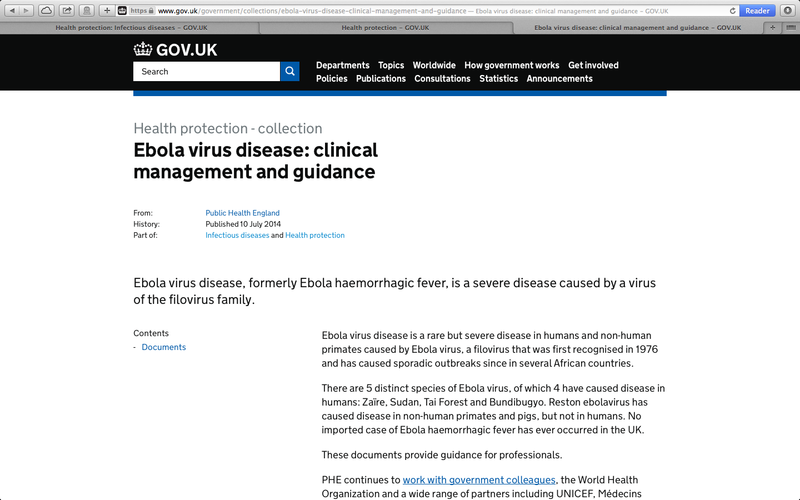 And you can see all the information about individual diseases, for example ebola, together in collection pages.